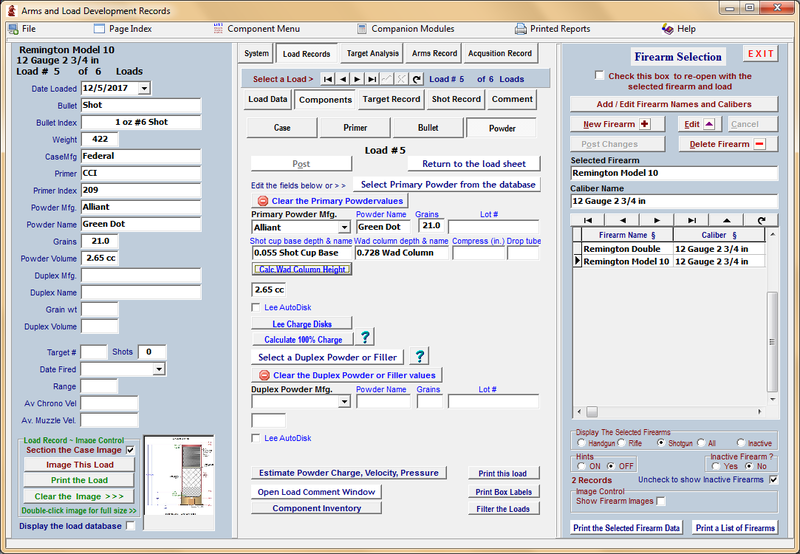 Tom Myers' who owns and codes the various TMT software products has followed up with my suggestion of coding an advanced shotgun handloading(vs. reloading) module. As related in several other posts you can take any published powder and shot charge and once you have the wad stack nulled at 100% of the case fill, the specifics of wads is not important. This software is going to calculate and visualize what it takes to do that. I've looked or tired all the available shotgun reloading software and so far, all I've found is software that is a database of your loads. There are no calculating or analytical abilities to help your handload with the available products. 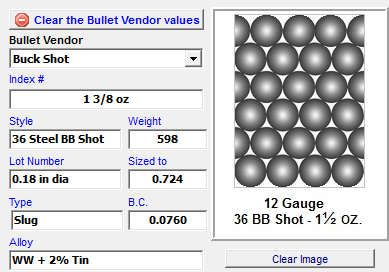 The TMT product will be particularly useful with BBs, Buckshot, and slug loads, especially with the slugs from the Lee molds as there is very, very little data available. The following is information from TMT with the latest updates, posted with Tom's permission. I should be beta testing the software in late summer. Tom Myers @ TMT wrote: Still working on the shotgun shot column and wad column heights. One thing leads to another and the complexity continues to increase. The shot column stack height calculator for randomly stacked smaller shot is working well. Am still working on stacking patterns for the larger buckshot and balls. I've got the math and trig worked out and it gives quite accurate results. Now is just a matter of working out the Boolean Logic to use the math and trig that calculates the height of columns based upon stack pattern and ball diameters. Also working on imaging to display scaled images of cutaway shot and ball stacking patterns. 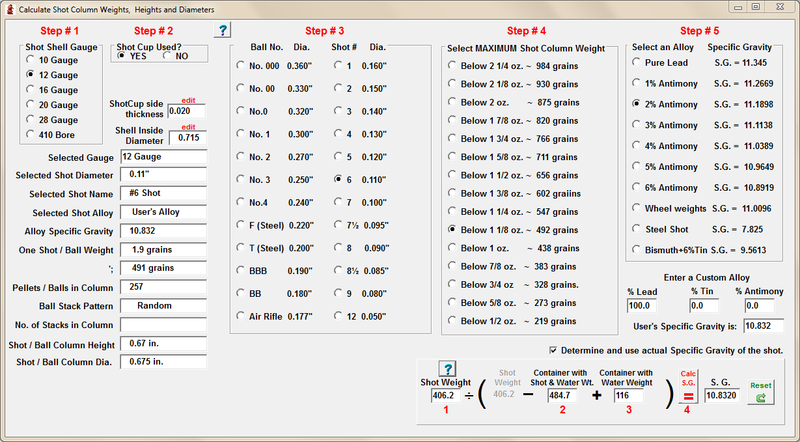 Tom Myers @ TMT wrote: Below is the main application for determining shot column height from shot weights and densities. The in the Specific Gravity section contains details of a method to determine the specific gravity of a shot sample. 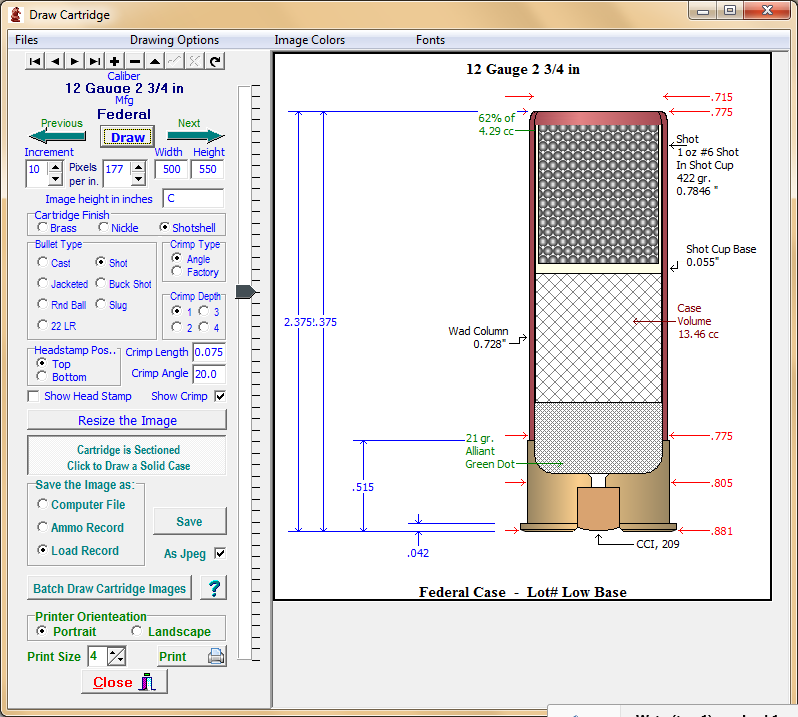 Any change in each section will calculate the number of shot in the column, the weight of each individual pellet or ball and the stack height of the column. Once I get the stack pattern logic figured out, it should work great. I'm really excited about this module addition to Precision Records! I beta test for Tom, but I like it so much that I still buy the software and if there is a cost for this version update, I will be happy to pay it. Looking forward to seeing further reports on this. Live Free,Ride Free, Or Die Fighting, For The Right, To do So! Now this is very interesting.... how far away is this from production???? I'm not sure, but the colder the winter in MN, the closer it gets as Tom cannot get outside. I just sent him some components so that he could verify that the calculations are correct.